Visit Multilink at the 2019 Texas Expo located in Belton, Texas! 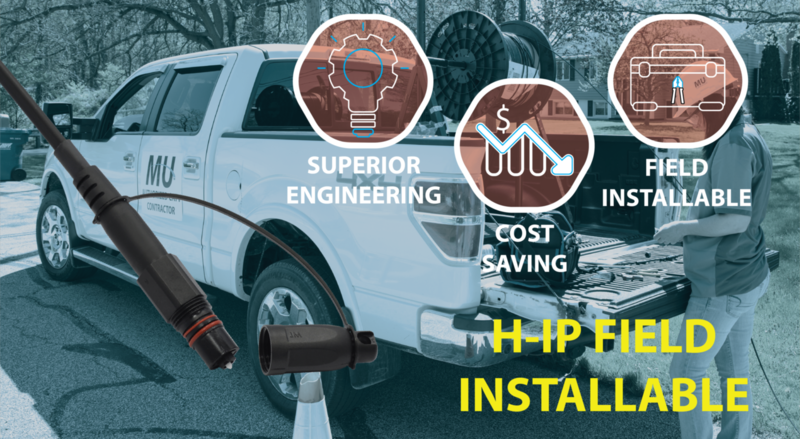 The Multilink® Surelight® H-IP is a fiber drop cable solution with a field installable application that is an OptiTap™ compatible connector. The field installable hardened connector is designed to be environmentally protected while maintaining superior durability and reliability for use in the connection to the subscriber. The Surelight® H-IP is available in multiple fiber lengths to meet all your FTTX design drop deployment. Its flexibility and reliability provides fast and simple deployments within a network. The Surelight® H-IP field installable connector is designed to reduce the cost and time of drop fiber deployment in the network. General applications include Interconnect Assemblies, Fiber to the Desk, Data Centers, Wiring Closets, and Optical Patch Panels. The cable has a very flexible lightweight PVC jacket and comes mainly yellow for Singlemode and orange and aqua for Multimode. Outside Plant Applications include Aerial and Direct Burial. Cable has a hard rigid outer polyurethane black jacket. Though we aim to provide standard products that meet all our customers' needs, we also understand that today's telecommunications companies face unique challenges and requirements. To better serve these customers, Multilink offers custom design services. 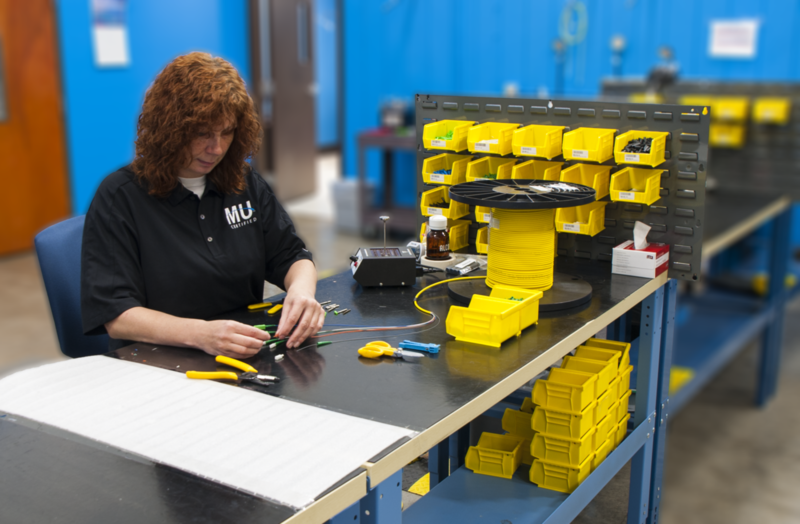 If you have a fiber optic assembly, splitter or another product design in mind but don't see a comparable piece in our collection, our expert team of engineers can work with you to modify or custom-make a product that aligns with your vision. To ensure satisfaction with the result, our engineers follow custom products through the design, manufacturing and lab testing processes as your product transitions from idea to functioning technology. Our custom design capabilities allow us to serve customers with highly specific needs other telecommunications suppliers fail to accommodate. When you invest in fiber optics, you need to know the products you purchase will work as intended. At Multilink, we take quality as seriously as you do. We follow a strict quality system based on ISO 9000 standards to ensure our products meet your high expectations. Before we put any of our fiber products on the market, we test them in a laboratory setting. We provide our customers with the testing reports for their terminated fiber optic assemblies, so you'll have insight regarding their performance in the field. Today's telecommunications companies rely on high-quality fiber optic cable tools and products to build and grow their networks. At Multilink, we have 35 years of experience creating innovative and versatile solutions for the telecommunications industry. To learn more about the fiber optic networking products we offer, browse our selection online and contact us for a free quote today. Multilink® is excited to present our mobile training center, the Road Show Van. This Van is equipped with a variety of Multilink products including an Outside Plant Cabinet, Fiber Splice Enclosures, Sno-Shoes, Rack & Wall Mount Enclosures, Indoor & Outdoor Raceway and many others. This allows Multilink® the opportunity to travel across the country and give insight on how to use and apply the products. The Van will also be making stops at our tradeshows as well as customer and distributor locations. If you would like the Multilink Road Show Van to make a stop at your location, feel free to contact us for a visit!